Line a baking sheet with parchment or wax paper. In a medium bowl, combine white chocolate chips and 4 to 5 drops of yellow food coloring. Microwave on 50% power in 30 second intervals until the chocolate has melted. Stir until smooth. Toss each Nutter Butter in the yellow chocolate mixture until fully coated and transfer to the baking sheet. 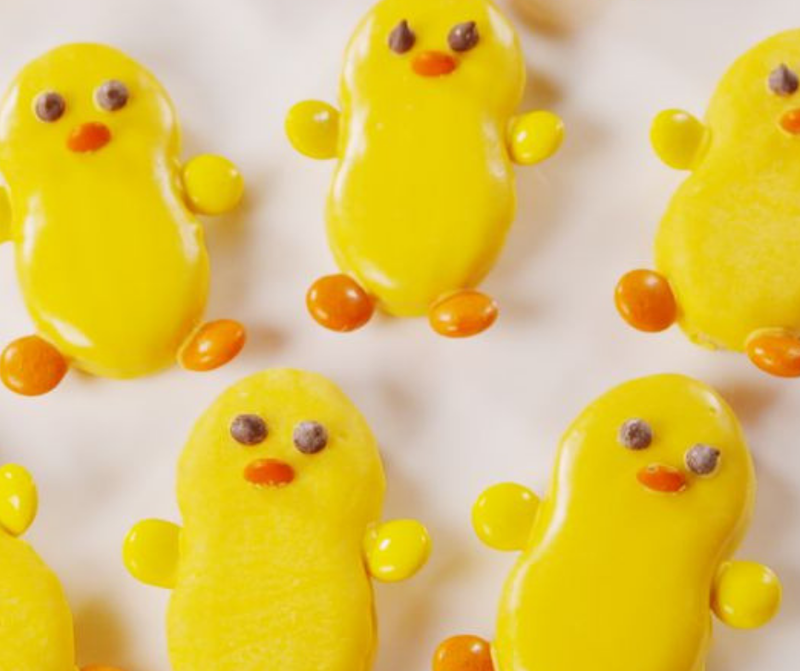 Decorate each cookie with mini chocolate chip eyes, a mini m&m beak, yellow Reese’s wings and orange Reese’s feet. Refrigerate 10 minutes, or until chocolate is firm, and serve. 0 Response to "Nutter Butter Chicks"